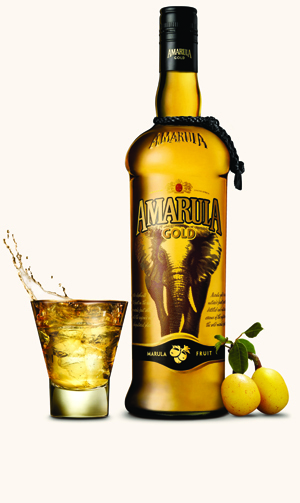 Amarula is set to launch the first addition to its portfolio for 25 years, Amarula Gold – a clear 30% abv spirit. Its release will coincide with the brands 25th anniversary and, like its cream counterpart, is made using hand-harvested marula fruit indigenous to sub-Saharan Africa, double-distilled and aged in oak for 24 months. Caroline Snyman, head of Distell’s spirits business unit, describes Amarula Gold as “aromatic and vibrantly fruity with intriguingly spicy notes and a very smooth texture” meant to be enjoyed over ice or combined with soda, sparkling apple juice or ginger ale. Known as the Spirit of Africa, Amarula has built a loyal following in South Africa and Brazil where it leads the cream market, as well as in other strong growth markets such as Germany, parts of Africa, the Americas and Asia Pacific. The new spirit will make its first appearance in March in South Africa and on the the global travel retail channel where Amarula Cream is currently the 36th most purchased spirit, according to market intelligence providers International Wine & Spirits Research (IWSR). It is expected to launch in other markets in September this year. It is expected to retail for between South African R139 and R149 (£7.70) per 750ml bottle.